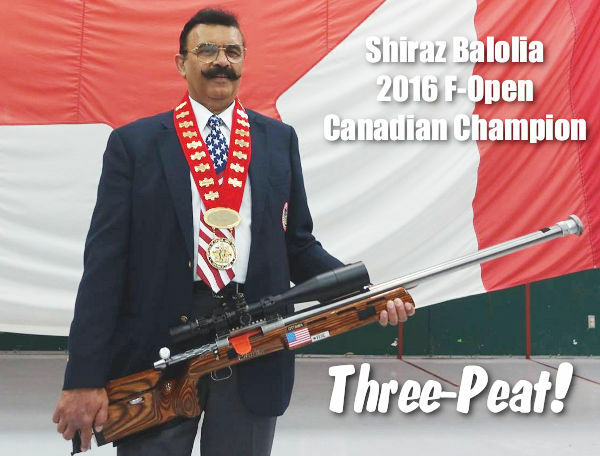 Grizzly Industrial and Bullets.com President Shiraz Balolia pulled off a stunning feat of marksmanship recently, winning his third straight F-Open title at the Canadian F-Class National Championships. It wasn’t easy — conditions were tough, as was the competition — there were top shooters from around the world, including many past U.S. Champions. Shiraz had a slim, one-point lead after Day 2, but Balolia ended up tied on total points (and V-Count) with Emil Kovan at the end of the third and final day. But when the cards were compared, a string of Vs on Day 3 secured Shiraz the win via tie-breaker. 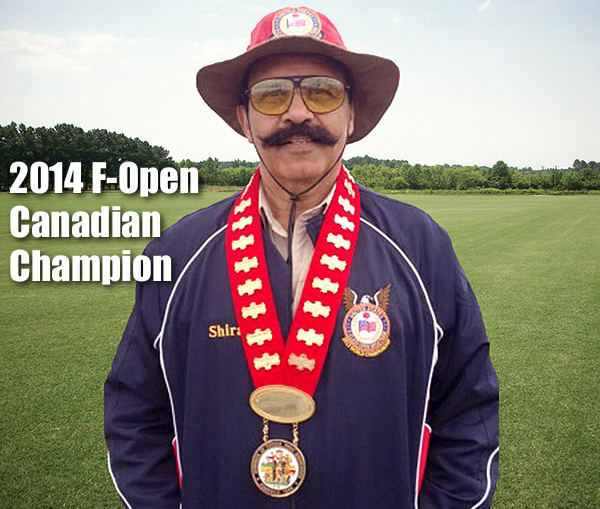 Thus Shiraz achieved the memorable “three-peat”, winning Canada’s 2016 F-Open National Championship to complement his 2015 and 2014 victories. This trip to Ottawa for the Canadian National Championship was a specially important one. The U.S. Team tryout process and practice was to take place for two days prior to the National Championship as the next F-Class World Championship is going to be held in Ottawa in August of 2017. Connaught Range is a fantastic range that is very well run. Pullers are provided as part of your entry fee and matches are run at different times of the day, even into the evening. The flags are heavier than the ones we use in USA and are notorious for lying to the shooter. Matches are shot in pair firing mode which means one shooter takes a shot and the other scores. You cannot simply rattle off a shot as soon as the target comes up. The first day the winds were mild, but tricky and the temperature was 102° F. I had never shot in such weather and ended up in the 6th place for the day. The second day had several matches at 900 meters and the wind picked up, with a 105° F recorded temperature, causing havoc with everyone. In one of my matches at 900 meters I took my two sighters and my first shot for record was a 3 (equivalent to an 8 in USA). To top it off I shot another 3 a few shots later. Liar, Liar, flags on fire! Anyway, I dropped 7 points in that match only to find out some very good shooters had dropped over 10! I moved to top position for the two-day Aggregate. The third and final day was one string of 20 shots with shooters squadded by their two-day Aggregate ranking. So I was paired with Emil Kovan, while the third position shooter was paired with the fourth-ranking shooter et cetera. We all shot in identical conditions. Then came a vicious rainstorm. We waited out the storm for two hours before we shot. The rain was really, really nasty and coming down really hard. We were all huddled under the U.S. Open Team’s tent. Finally, after the long delay, we got back to the firing line. And it went down to the wire. Emil shot a 100 with 3 Vs and I shot a 99 with 12 Vs. When the dust settled, we ended up with the same score and total V-Count (611-61V). The tie would be resolved by a “count-back” procedure. I had a stack of Vs at the end of my string and that won the match. What a fight! Note: This is a photo from 2013, there may be slight changes in the rifle. The rifle features a BAT Machine ‘M’ action, with a 31″, 1:10″-twist Bartlein barrel. The scope is a March 10-60x52mm, which sits on a +20 MOA angled rail. The primary stockwork, including fitting of the adjustable cheek-piece and buttplate, was done by Alex Sitman of Master Class Stocks. Shiraz customized the stock with finger grooves, fore-end channel, and a bottom rear slide. Shiraz did the final stock finishing as well. 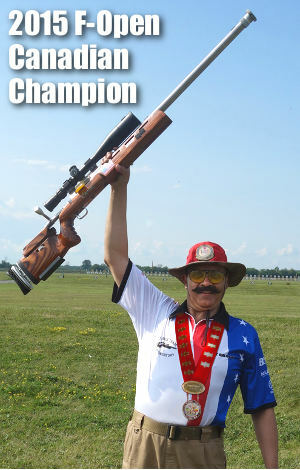 Share the post "Shiraz “Three-Peats” in Canada — Wins 3rd Straight F-Open Title"
Clear skies and calm winds welcomed 85 of the nation’s best Precision Rifle Series (PRS) shooters to the PRSID Shootout at the Snake River Sportsmen range in Vale, Oregon. 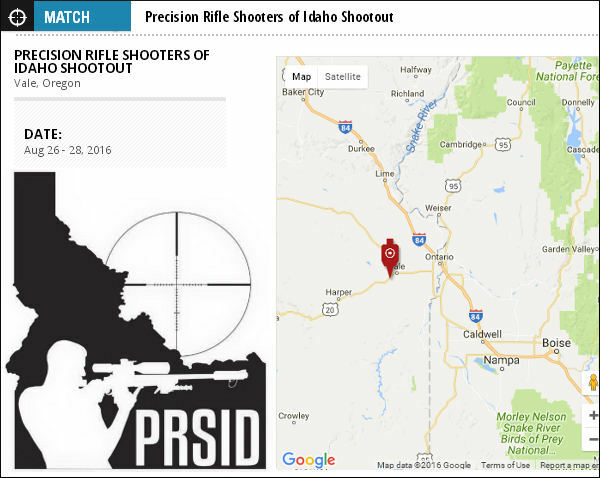 Held on August 27-28, this sold-out event was hosted by the Precision Rifle Shooters of Idaho (PRSID). Finishing first was Jake Vibbert of Washington state with a 163.500 score, followed by Oregonian Jon Pynch with 156.500. In third place was Ben Cleland of Georgia with 152.500. Over the two-day event, competitors shot 20 challenging stages such as ‘MGM Spin Cycle’, ‘Run through the Rocks’, and ‘MGM Spinner Chicken Dinner’. The course of fire featured many reactive targets. The “instant feedback” offered by reactive targets is a major “fun factor” contributing to the rapid growth of PRS shooting. 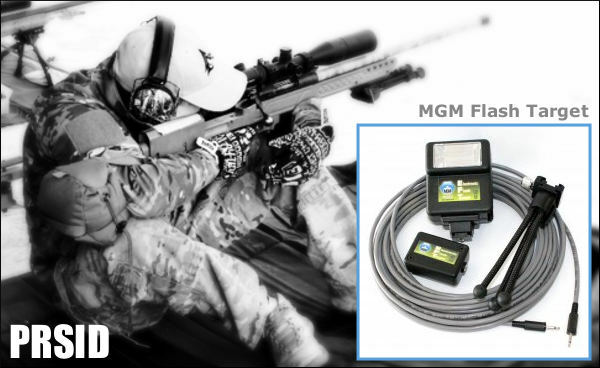 Shooters engaged MGM targets on 19 of the 20 stages at distances from 300 yards to 1160 yards with MGM Flash Targets on all engagements past 300 yards. The Flash Target Systems made impacts easy to see for both shooters and spotters. Light React LED Hit Sensors were also used to help confirm hits on the two long-range stages with engagements out to 1160 yards. In the past couple of years the PRS has emerged as a very popular competitive shooting discipline. PRS specializes in tactical-style target shooting “on the clock” with challenging scenarios and targets placed at distances out to 1200 yards. More typical, however, are PRS stages with targets placed from 200 to 500 yards. Share the post "PRS Action at Snake River Sportsmen Range in Oregon"
Otis Technology, the makers of Ripcord pull-through bore cleaning ropes, has introduced a full line of new products to clean, lubricate, and protect firearms. There are dedicated bore cleaners, all-in-one CLP-type products, plus a variety of lubricants. Notably most of these new Otis products are bio-degradable. See the full line-up of new Otis “Smart Chemicals” at: OtisTec.com/cleansmart. Otis Smart Chemicals are advanced, American-made chemicals designed to bring next-generation protection to any kind of firearm. 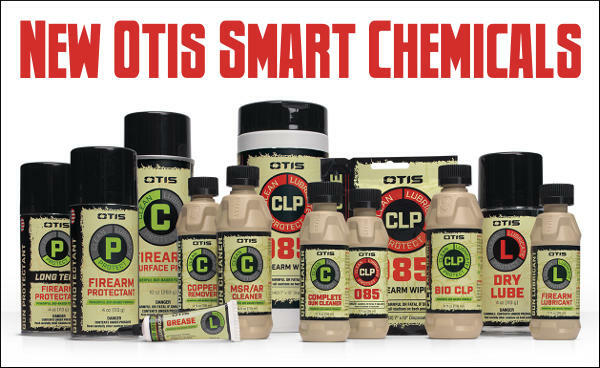 Featuring a broad variety of cleaners, lubricants, protectants and CLPs, the Otis Smart Chemical line offers formulas for any kind of shooter from 3-Gun competitors to hunters and tactical professionals to gun collectors. Formulated to the exact specification of Otis engineers and designed with intelligent application in mind, most Otis Smart Chemicals are biodegradable and available in liquid or aerosol form (as well as in grease and CLP wipes). A precision applicator pack is compatible with all liquid formulas to deliver a greater level of precision during the application process. Visit www.otistec.com/cleansmart to explore the full line or purchase Otis Smart Chemicals online. 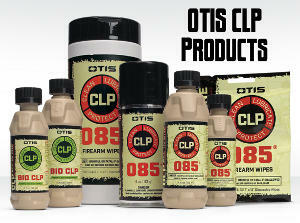 Share the post "Otis Introduces New Line of Cleaning and Lubricating Products"